The king of geeks, Don Tillman, is surely one of the most recognisable, distinctive narrators in modern fiction. He first burst out of the genetics lab and on to the page in 2013 in The Rosie Project, in which he decides – aged 39 – that it’s time to tackle the search for a compatible life partner scientifically. To cut a long and entertaining story short, he meets a woman who fulfils none of the criteria in his 16-page questionnaire but who needs his help with a quest of her own. Against the odds, a strong mutual attraction develops, Rosie proving a perfect, intuitive mediator in the situations created by Don’s social awkwardness. The book ends with wedding bells, and Don and Rosie moving from Australia to America. When I picked up The Rosie Result – eagerly, as I’d very much enjoyed The Rosie Project – I didn’t realise that this was actually the third in the series. The second, The Rosie Effect, continues on directly from the first, and details the birth and early years of Don and Rosie’s son, Hudson. However it’s so easy to readjust to Don’s singular view of the world that I didn’t question the appearance of Hudson, fully formed, aged 10 and objecting to the family’s imminent relocation back to Australia. And anyway, there’s the small distracting matter of an accident with an oyster knife in the opening scene. The unspoken implication in the first book is that Don is on the autistic spectrum. He is rigorously organised, obsessive about exercise and the productive use of time, and mathematically gifted (he has taken to estimating the BMI of every person he meets). He also had major social issues as a child, which come to light in The Rosie Result as he begins to compare his experiences and reactions with his son’s. Staff at Hudson’s new school in Australia quickly identify these traits, and form the belief that all his behavioural issues will be resolved by labelling Hudson autistic and treating him accordingly. However as Don and Rosie consider the attitudes, ethics and implications of having Hudson tested, and meet people on all sides of the autism political debate, the lines become increasingly blurred. Since Rosie is enjoying her new post and Don isn’t – and because he set off a massive Twitter storm thanks to his response to a question at the end of a lecture – it’s decided he will give up work to devote more time to “the Hudson problem”. Don identifies numerous areas of his son’s life where improvement is desirable, from learning to ride a bike and catch a ball to greeting classmates appropriately and refraining from correcting his teacher. And so, despite Hudson’s initial objection to the change in parental roles, Don sets to work. He begins to see parallels with his own father’s attempts to “normalise” him as a boy, which were traumatic for him and didn’t prevent a spell of severe depression caused by social isolation. Now, as a parent himself, Don can finally appreciate his own father’s good intentions – while endeavouring to take a less distressing approach for Hudson. I wasn’t happy with the baddie’s pro-homeopathy, anti-vaccine stance being used as evidence of stupidity, though with Don’s (and evidently the author’s) passionate belief in science I suppose it couldn’t have been otherwise – and the refusal to consult an ophthalmologist is clearly taking things too far. In the end, the daughter herself opts to have the vaccines at an age when, as Don agrees with her anxious mother, there is “zero evidence of vaccine shock”. A reasonable compromise. The whole Rosie series is a celebration of “weird” people, and an emphatic demonstration that everyone can be happy and accepted. With the first book reviewed favourably by a parent of an autistic child, and a film of The Rosie Project currently in production, it seems Don and Hudson are set to become poster boys for those with aspie tendencies everywhere, and deservedly so. For everyone with a geek in their life, this is a must-read; for everyone, it is uplifting, eye-opening and definite food for thought on whether we need to adapt to the world… or whether sometimes the world is a better place in accommodating us as we are. 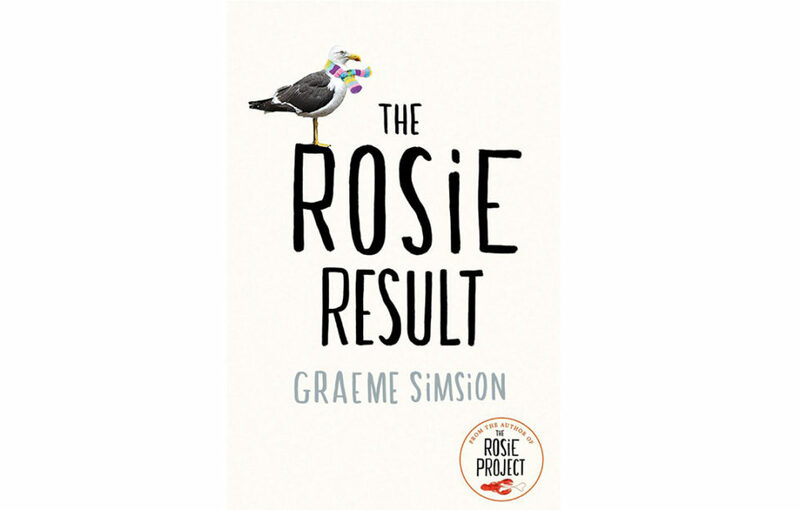 The Rosie Result By Graeme Simsion is published by Penguin in hardback, RRP £14.99, and available from Amazon.